Try as one might, it really is quite difficult to keep adventure and Indiana Jones very far apart from one another. Each and every day, this archaeologist goes off to a brand new place to try and find an ancient artifact to put in high class museums. But there are dangers lurking. So before Indy goes to a faraway land, he has to make sure that he has his gear, as any good archaeologist would. Hat? Check. Bag? Check. Khaki clothes? Yup, of course. And naturally, he needs his whip. Dr. Jones never knows when he'll need to swing across a hole or whip a weapon away from someone. The world is a dangerous place, after all. 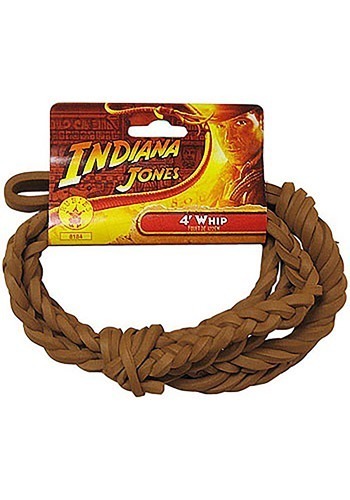 So if you’re aiming to emulate Indy this Halloween, this 4ft Indiana Jones Whip will ensure you’re fully ready to pack up and out on your next adventure!